Where is Tai Lung after his defeat? ...to send himself and Kai to the spirit world since he is unable to use the technique on Kai directly. in the spirit world? Would Kai have taken his Chi, despite Tai Lung's Chi not being on-screen during the events of KFP3? Or is Tai Lung just simply dead? According the the script for Kung Fu Panda, Tai Lung got himself Ka-Thoomed. Since it happened off-screen, I think we can be reasonably sure that he died, rather than experiencing any mystical conversion to a spiritual plane of existence. PO: Nope. I figured it out. A mushroom cloud appears over the Valley, sweeping past the Furious Five and the fleeing villagers. Notably, in the follow-up special "Kung Fu Panda Holiday", when Tai-Lung appears in a dream, Po states that he was sure that Tai Lung was dea[d]. And in the Legends of Awesomeness series, Po is pretty explicit about having killed Tai Lung. Peng: They say you destroyed him. But that… that can’t be true. You’re my hero, Po. Please. Please tell me it’s not true. Po: Yes, I did it! I skadooshed your uncle! If you freeze the screen at the right moment you can actually see Tai Lung at Kai´s belt. You can see it once he defeats Monkey and Viper. I believe Tai Lung survived in Kung Fu Panda, and is not in the spirit world. The next time you see him, he had his chi taken by Kai, which would lead one to infer that Kai later fought Tai Lung, with Kai winning and taking Tai Lung's chi. Kai defeated Tai Lung as you can see on Kai's belt when he takes Monkey's chi. 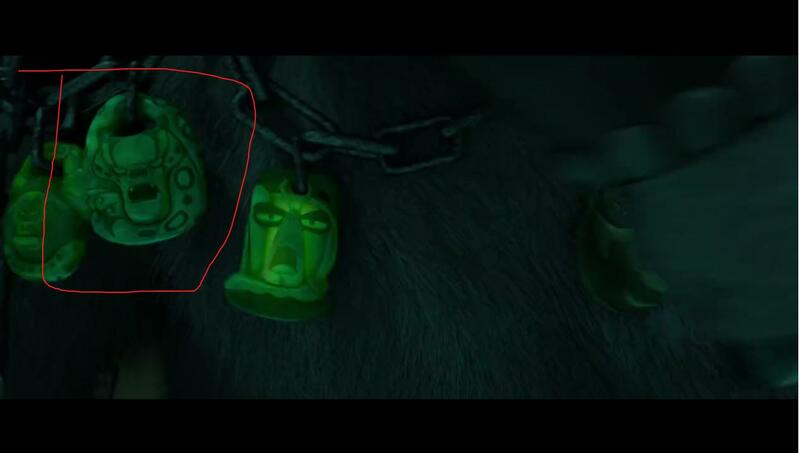 You see Tai Lung as a green gem on the belt so that means he was in the spirit world. That also means he still is in there after the defeat of Kai. Well, honestly I think Tai is still alive somehow. I just saw KFP3 again and I noticed that Po pulls his finger completely when doing the Wuxi finger hold and in the first movie he just flexed it. I know it's something very subtle but that could mean why all the ying yang stuff didn't happened but just think about it. What if he didn't kill him intentionally, that will explain the difference between the finger hold in the movies, and the fact that there were no petals on the place where he vanished Tai. If you look closely at Kai's belt, you will see Tai Lung as a gem. The only way this could be possible is if Kai encouneed Tai in the Spirit Realm and they more than likely fought, resulting in Kai turning Tai into a gem. This lead me to believe that he isn't simply dead, but he was banished to the Spirit Realm. This could also mean that Tai could find a way to break out of the Spirit Realm just as Tai did, and possibly a return. 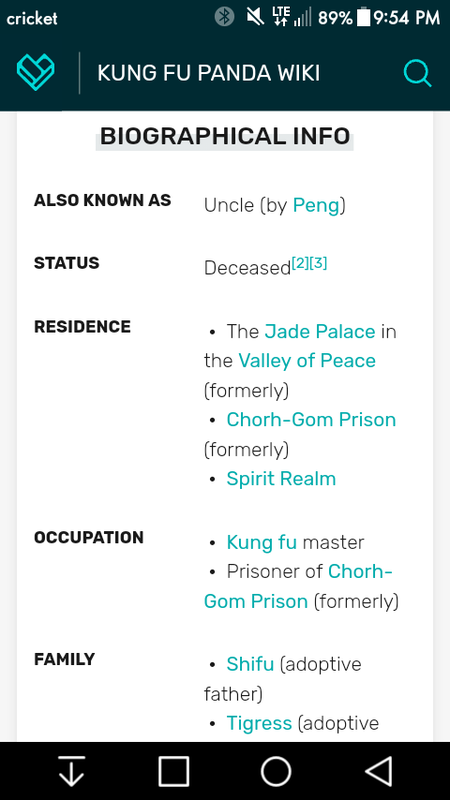 If you go to his wiki page on Google it shows he was in the Spirit Realm after the big skadoosh. Not the answer you're looking for? Browse other questions tagged kung-fu-panda or ask your own question. Was Po's evil side indicative of his true feelings?